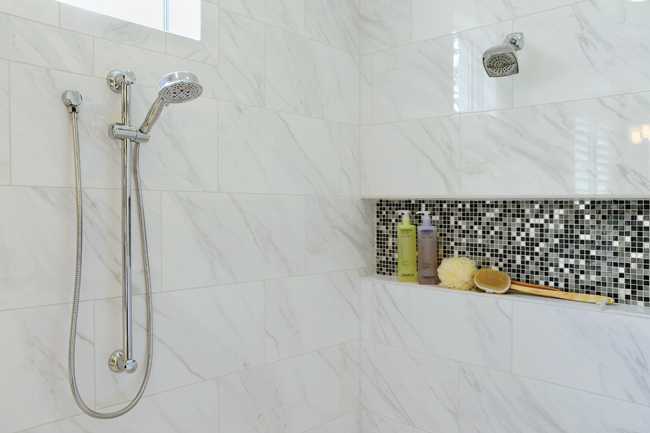 An understated bathroom design allows tile shower designs to catch the spotlight. In the case of this master bathroom, the small, dark tile paired against the large light tiles creates a very dramatic look. 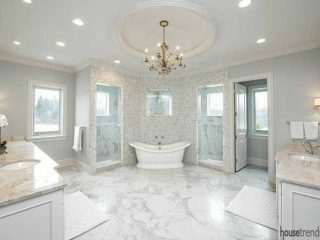 The perfect shower or bathtub may start the journey to your dream bathroom, but ultimately determining which bathroom shower ideas will suit your needs may be one of the most impactful decisions in your bathroom design. Do you go with frameless or framed? 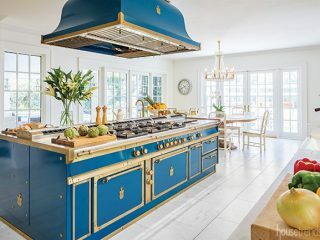 What color options are available? What glass option will give the biggest bang for your buck? 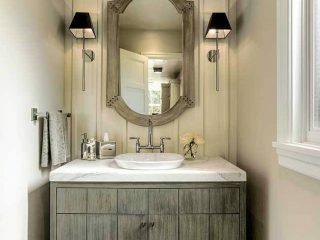 In the master bathroom shown here, Arthur Rutenberg Homes interior designer Cindy Alander chose a Basco large glass panel next to the Kohler freestanding oval tub to give a peek into the shower itself while allowing the natural light from the adjoining window to pour into the space. The frameless swinging door with inline panel is tucked away around the corner, creating a large and inviting shower room. As one can clearly see, the choice of clear glass in this bathroom was essential to the design. A luxury frameless glass enclosure is a growing trend and clients are moving away from the textured glass and brass of the past. “Heavy” glass is 3/8 inch or ½ inch thick, which is sturdier than traditional thinner glass used in framed shower enclosures, but is still easy to open due to strong support hinges. “Clients are hungry for a place to rejuvenate and get their day started in the morning, and a place to relax and unwind in the evening. 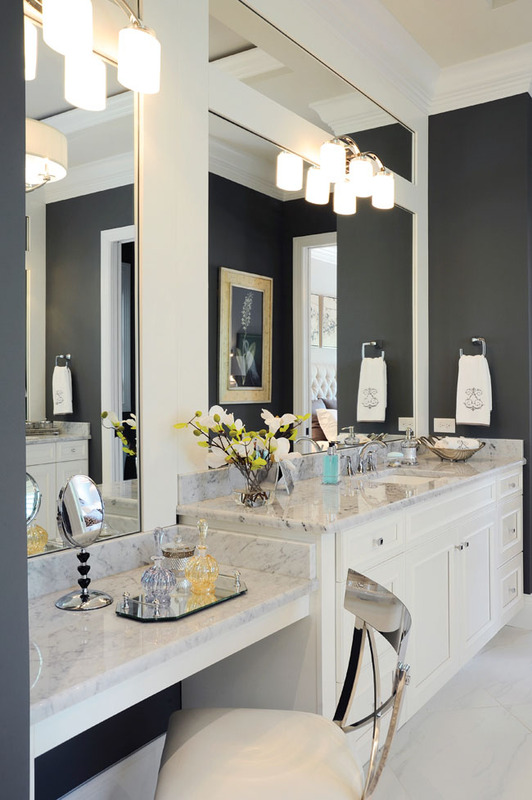 I love how the deep, warm gray color of the walls contrasts with the whiteness of the room, and the chrome fixtures and veining in the marble tie everything together. The glass shower panel opens up the room and shows off that beauty,” says Alander. 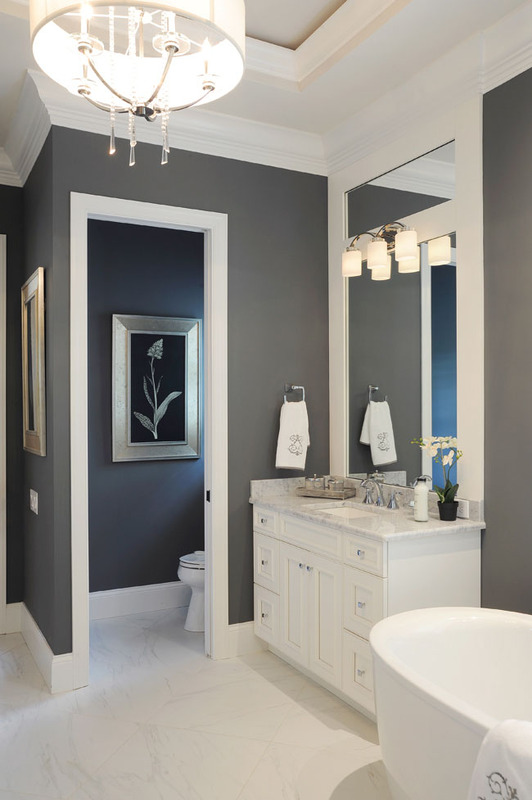 To highlight the grand height of the ceiling in this master bathroom, a second rectangular mirror is framed and stacked above the main mirror with a triple light sconce separating them. Alander worked outside the box and chose a wall panel for the double mirrors. Not only does that style accentuate the height of the ceiling, but it also gives the room a more stately feeling of elegance. A truly unique feature of this home’s lower level bathroom is the bottom roller on the sliding glass door. Current versions of a sliding glass door allow both panels to slide. This new product, called Vonse, allows only one panel to slide open while keeping the look of a frameless shower enclosure, which is a nice solution for smaller spaces. “We are offering the product launch of Vonse in the first of the year and wanted to get reactions to it from this reveal,” says Basco spokesperson Linda Garman. 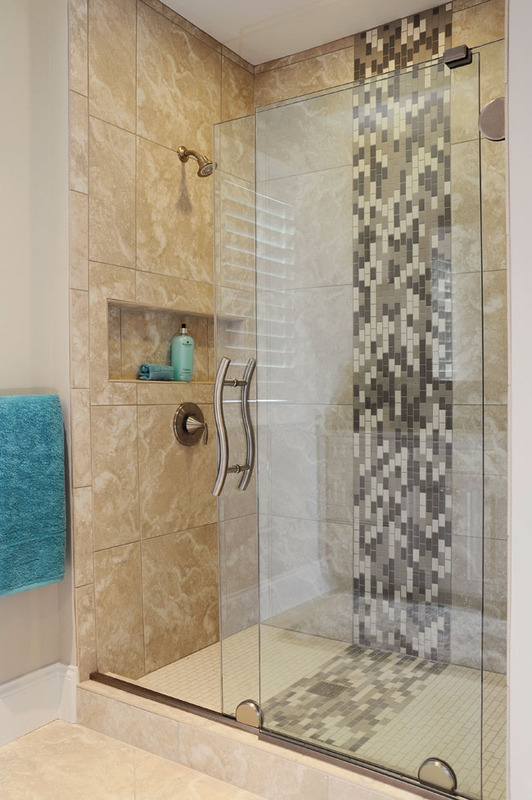 “It is the evolution of style and function.” The curved handle gives the substantial glass door an artsy vibe, yet still allows the swath of mosaic tile in the shower to take center stage. 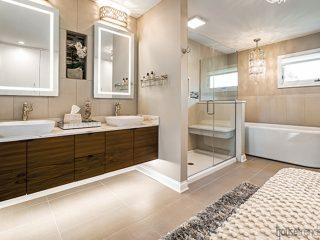 Whether you are in the midst of a full gut, or just adding a few flashy bathroom shower ideas to your space, remember that the right shower enclosure, mirror and hardware will make the difference between blah and brilliant.